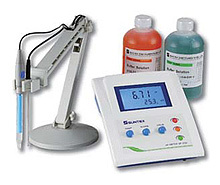 Suntex Instruments Company Ltd, established in 1982, has gained prestige and trust from our customers for dedication of providing professional, high-quality water analysis products and first-rate customer service. Through 30 years experience and innovation, Suntex has launched its fifth generation of pH transmitter PC-3110, we called it intelligent transmitter, in 2010. 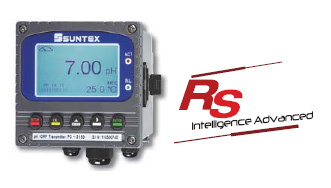 The new intelligent transmitter series includes pH/ORP, Conductivity/Resistivity, and Dissolved Oxygen models which are the most important parameters in the process controlling The intelligent transmitter features to 1/4 DIN housing with IP65 protection, graphical menu, last calibration and overview of setting at a glance, and auto-sense backlight display, etc There are also RS-485 Modbus models and PID controlling models to satisfy various demands. All of them are the proof of our continuous research and development to make the online measurement and controlling easier and more reliable. The accuracy and reliability of the Suntex portable and Laboratory instruments is guaranteed by the online measurement experience. Suntex provide a variety of pH/ORP, Conductivity/Resistivity/TDS/ Salinity portable and benchtop meters to universities, research centers, environment inspection labs, and applications of various industries. There are also Colony Counter, COD Thermoreactor, Hotplate & Stirrer, and Automatic Waterstill for most of general laboratories usage.